February is the month for love. Whether you’re taking someone special out for a dinner and sending chocolate and flowers, or if you’re spending the day with friends sharing in each other’s companionship, don’t forget about your furry Valentine at home. The one who’s there waiting for you each day to get home and snuggle. These special Valentine’s deserve some appreciation for Cupid’s holiday too. 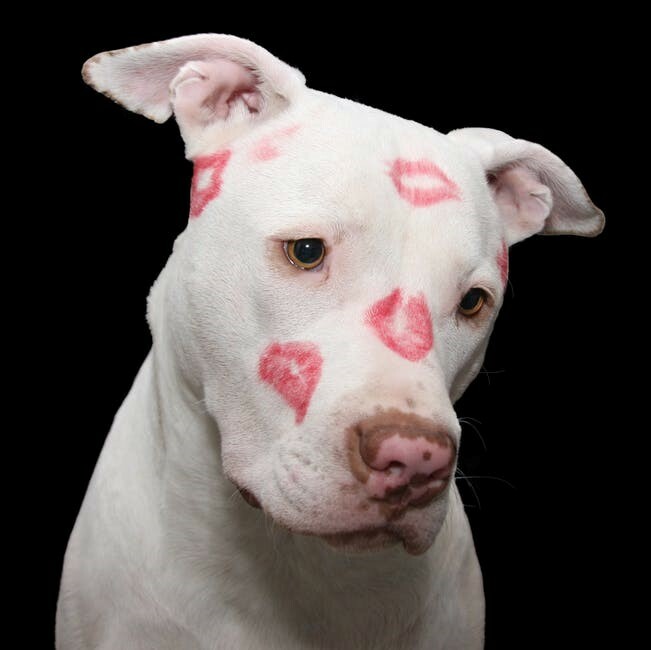 In addition to being an important day to fill them up with kisses and affection, it can also be a dangerous day for pets. With all of the chocolate and other hazards lying around the house, there’s an increased chance your pet will ingest something dangerous. 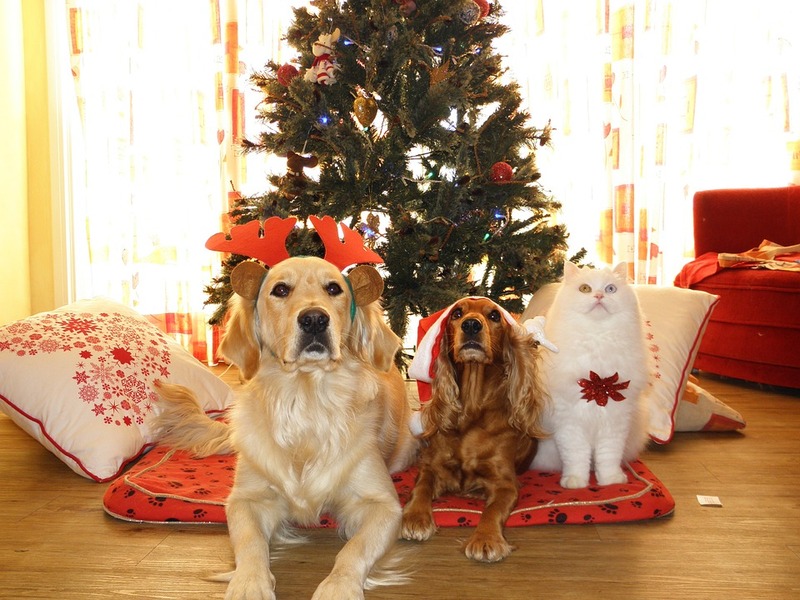 Follow these tips to keep your special four-legged, love-bug safe this holiday. Keep all chocolate high-up and safely tucked away. You’re likely already aware that chocolate is a no-no for dogs. On Valentine’s Day, when you or your kids are coming home with cardboard hearts filled with these treats, you might easily place it on the kitchen counter or forget it’s sitting in your open bag that you put down. To your dog, it smells sweet and they’d like to check things out, but the problem is that chocolate contains theobromine which works much the same as caffeine in our systems, causing their hearts to race and could lead to seizures and death. All kinds of chocolates from cheap to expensive, dark to sugar-free are all of extreme danger. Exercise caution when you bring them into a home with pets. Clean-up any candies that fall to the floor. While most people are aware that chocolate is dangerous for dogs, other candies less commonly talked about being toxic include low sugar gummies and hardened fruit candies. These are very dangerous and could easily be missed if they fall to the floor and your pet eats them. The problem is that many have artificial sugar in them (xylitol) that increases insulin in the pancreas and can lead to liver damage and blood clots if consumed. If your child eats candy around the house or you hear a piece fall to the floor when you’re picking at your Valentine loot, move quickly to clean it up before your pet eats it to keep them safe. Understand which plants and flowers are toxic. Just behind candies as a gift on Valentine’s Day, are flowers. Some lovers might deliver a bouquet of traditional roses, but others might be unique and choose a bouquet with an arrangement of different blooms. It’s important to know which might be harmful to your pets before you bring them into your home. When it comes to cats, lily’s are toxic; for dogs daffodils, azalea’s and tulips are a few that can cause problems. 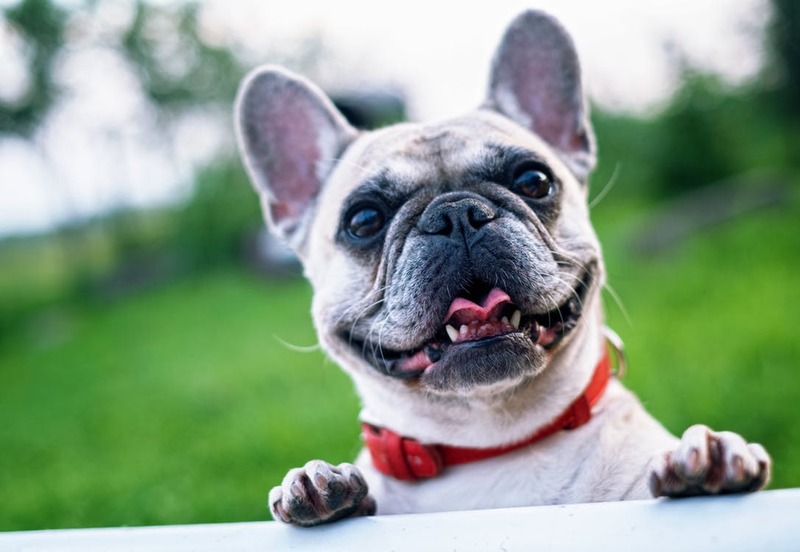 The best way to protect your pet from these unintended harmful situations is to be vigilant about creating a safe home for this furry member of the family to enjoy. Setting indoor boundaries that allow pet’s access to only certain parts of the house can also help curb concerns. DogWatch Hidden Fences of Western Massachusetts can come in and guide you through the process of setting up a containment system that gives your pet ultimate freedom. The indoor hidden fence system includes safe wireless technology so you don’t need to put up baby gates or worry what your pet is getting into when you’re not home. Here in New England, we’re having some of the coldest weather days ever. Not only should we be careful to bundle up outdoors, check in on the elderly and safely use space heaters, we should also be giving some extra care and attention to our pets. It’s easy to think that they are built to adapt to colder climates and that their layers of fur will protect them from feeling the sting of the cold temps, but that’s not entirely true. Domesticated animals who have become more and more a part of our homes are not the same as those who survive in the wild and they too should be given special care when temps drop below freezing. Here are some cold weather dangers to consider when it comes to our four-legged friends. Just like humans, exposure to freezing temperatures can lead to frostbite or hypothermia for pets. Once their body is no longer able to stay warm, they will begin shivering and shaking and are at extreme risk. The other problem is created by prolonged exposure to the freezing cold for their extremities. The risk is even greater for small breed dogs, puppies, and kittens that cannot withstand such cold extremes. With all of the ice on the ground, it can be easy for your pet to slip and hurt themselves. Even if you’re only letting them out to relieve themselves, the areas they normally run along can be much more slick and dangerous right now. Use a leash and help guide them to a safe area to use the bathroom. The other issue with cold temperatures and the ice storm we recently experienced is the amount of salt laid down to help melt some of the ice. While it may work to lessen the ice on the ground it can be very poisonous and damaging to pet’s paws. When going outdoors protect their paws with booties, use an ointment or Vaseline and then wipe them clean as soon as possible before your pet can begin licking the harmful chemicals. Here at Dogwatch of Western Mass, we love our four-legged friends and it looks like most of the population does too. A new study “2017-2018 Pet Ownership and Demographics Sourcebook” by the American Veterinary Medical Association, says having pets is on the rise today with dogs topping the list as our most popular companions. 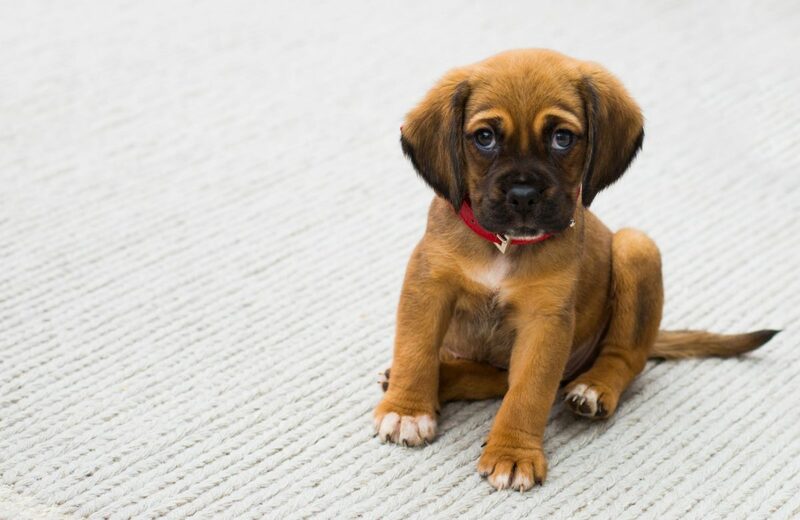 The study found that around 38 percent of households across the nation own one or more dogs. This is the highest it’s ever been since beginning its annual study back in 1982. And have no fear feline lovers, cats came in as the second most popular pet with 25 percent of U.S. households owning them. Another study conducted by Kelton Research for Banfield Pet Hospital uncovered that most C-suite executives today attribute their professional success to the bond they shared with a pet as a child. They also touted benefits to having a pet for building better relationships with coworkers and clients as well as getting big business ideas while walking their dog. We love hearing this news and know that responsible owners welcoming these furry friends into their homes want to keep them safe while also offering them freedom. That’s where our hidden fences can offer the most value. 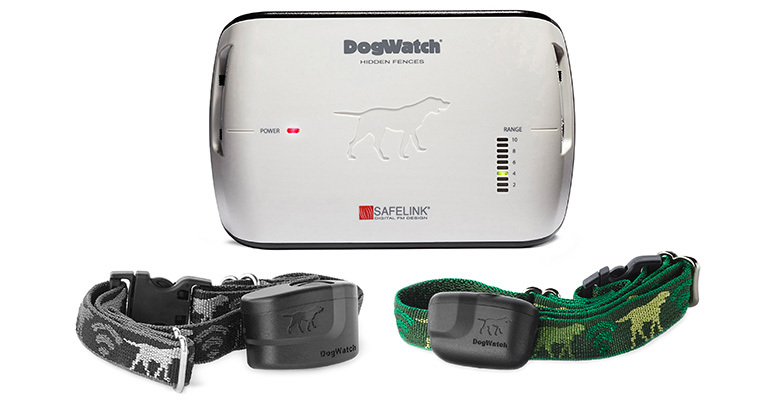 With DogWatch Hidden Fences you choose the boundaries you want your dog or cat to stay within (indoors or outdoors) and they can play freely (without getting into the trash or jumping on the couch). It’s a win-win for all! Celebrations for the New Year will kick off this evening and in many locations last well into the weekend. 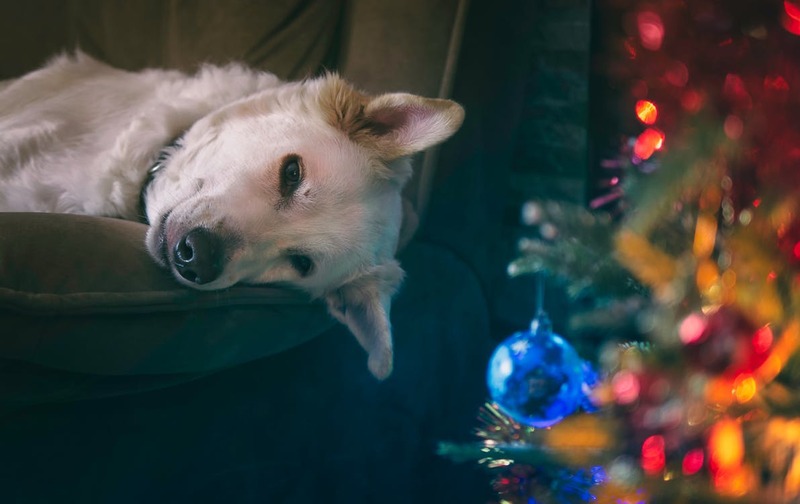 While it’s a great time for making resolutions and moving on from the year past, we cannot forget those mesmerizing fireworks while appealing to humans are also troublesome for most pets. The loud, unexpected booms tend to evoke anxiety in most dogs and can really put a damper on New Year’s celebrations. And it’s not just dogs, even cats and other animals display distress during the time of year when fireworks are being set off so it’s important to keep our furry friends in mind as we plan for the night. To make it a relaxing and enjoyable experience for all, here are our top tips for keeping dogs safe during the upcoming celebrations. One of the best ways to keep your pet safe during the celebrations and noise happening outdoors or at a party is to keep them indoors, confined to their usual spaces and distracted by chew toys or other noise-drowning sounds that won’t disturb them. Go for an extra walk earlier in the afternoon to tire them out and get them a new toy they can enjoy. You might also want to leave the TV turned on or add some relaxing music as background noise in the room. Even if you feel okay with leaving them behind while you go out for the night, having indoor boundaries set-up can give them the freedom they typically enjoy without you needing to worry about what they’re getting into to while you’re away. It can be easy to dismiss odd behaviors from your pet on nights like this with so much commotion happening but it’s important to never ignore signs of fear or distress. 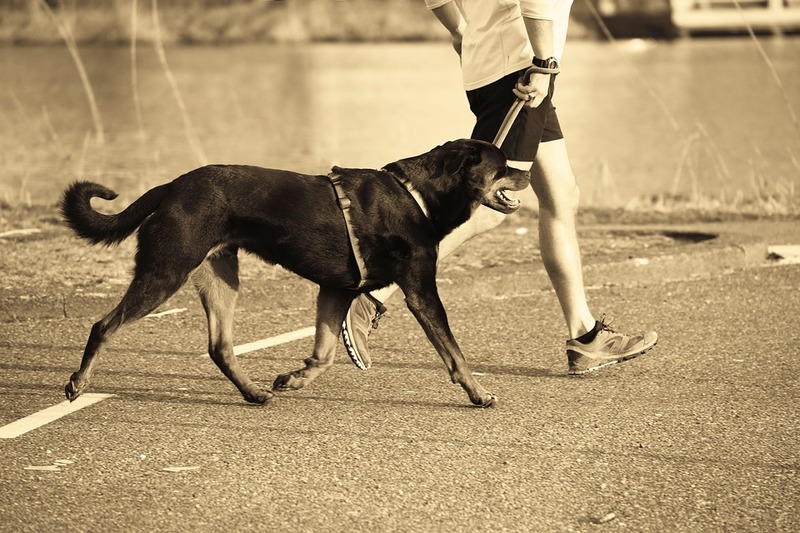 Oftentimes with dogs, it can lead to aggression or an otherwise preventable accident. Be on the lookout for signs such as barking, growling, raised hair on the back of their necks or even flattened ears. Extra cuddles and comfort are a great deterrent to stress! If your pup has already shown extreme signs of stress from fireworks during past holidays your vet may have recommended anxiety meds to help curb the issue. If you know there will be parties and fireworks likely going off this New Year in your neighborhood, plan in advance for the anxiety meds and be sure to administer them in time to assist your pet during the celebrations. Have a safe and terrific New Year! The holiday season has officially arrived. If you’re scrambling for ideas to complete the shopping list for your loved ones, don’t forget the four-legged friends we spend so much time with throughout the year. Here are 5 ‘paw-some’ ideas for the pets in your life. Aside from running around and playing, most dogs and cats really enjoy lounging around the house, napping, and snuggling. If you prefer your pets didn’t add fur to the family couch, consider giving them their own space to lay. There are lots of options for mini couches, pet beds, and even cat hammocks. Opt for one made of quality materials and beds that include therapeutic support for maximum comfort. Outside of what we mentioned above as top activities, some of our feline and pup family members love food and treats. In moderation, treats can be a great way to reinforce positive behaviors and to show appreciation. If your pet is a lover or treats consider loading them up on some as a gift this year that you’ll provide responsibly over the year as they complete required tasks. There are also many subscription options out to consider if you’d like some surprise treats and toys to arrive on your doorstep each month. A visit to the groomer is something that’s necessary for pets. Proper hygiene is critical for overall health and makes them all that more enjoyable to cuddle with. Consider taking your pup for the works as a gift this holiday. If they usually go in once a month for a wash, make this gift extra special and take them in for a wash, special conditioning, nail trimming, and haircut to make them feel ultra-pampered. Some of the best gifts are those that aren’t bought at all. The same is true for our pets. Most of them appreciate attention and time more than any gift. 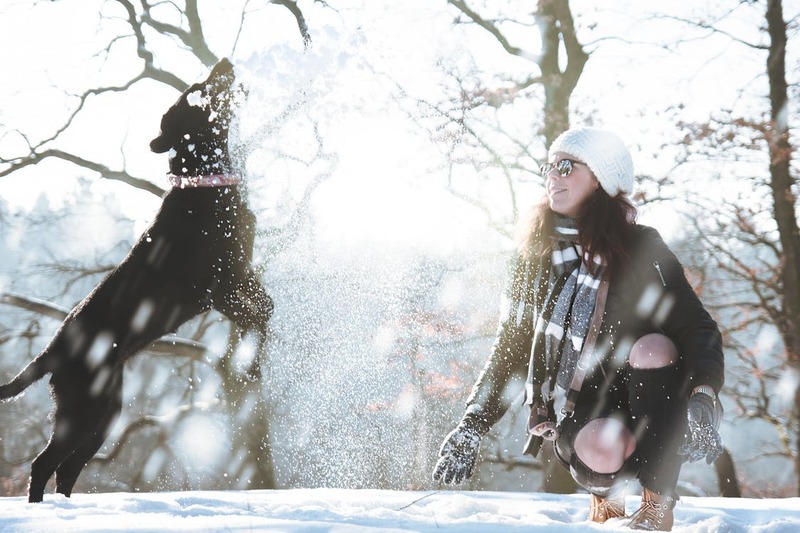 If you’re constantly on the go and haven’t found as much time to bond with your dog or cat this year, consider giving them the gift of extra time this holiday. They’ll be sure to purr and wag their tails in excitement at the gesture. If you’re looking to give your pet more freedom around your yard or in your home without putting their safety or your valuables at risk, then consider buying a hidden fence system as a gift this season. As a pet containment system, it helps you to offer boundaries where they can roam freely without concern, while still leaving them out of harm’s way. 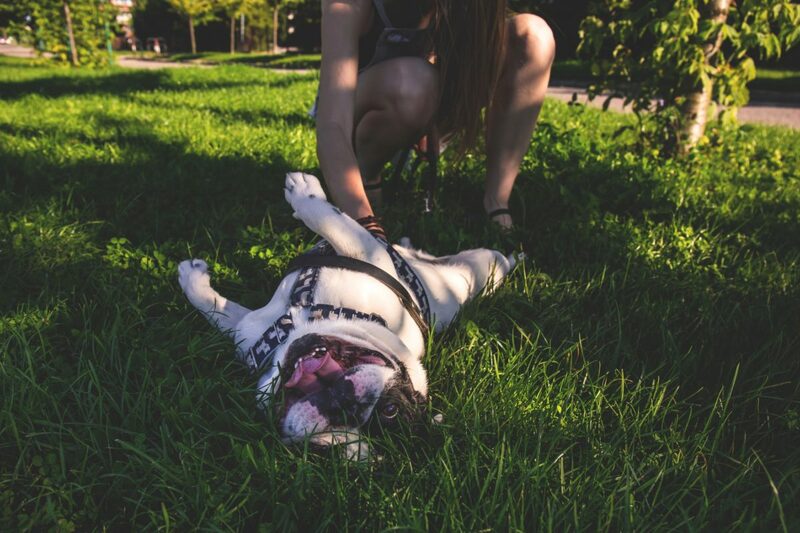 Think about the peace of mind this will give you when you’re at work or if you want the family to enjoy the outdoors in summer and don’t want to use a leash in your own yard. The possibilities are endless. 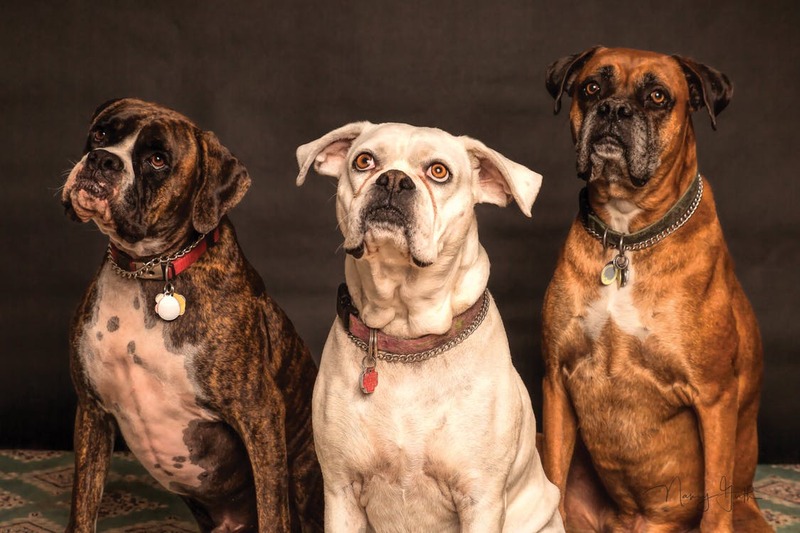 DogWatch of Western Mass provides the Pioneer Valley and surrounding areas with professionals that have years of experience in installing, training and providing excellent customer service to pet owners. Get in touch today!